Pick this stylish textured jewellery box and get delighted by its sight. 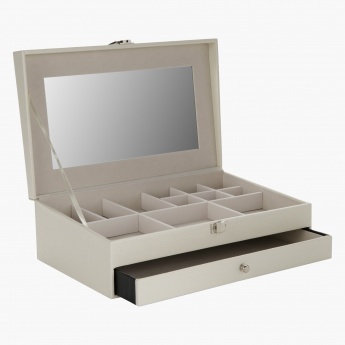 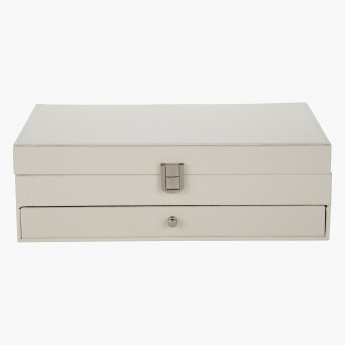 This box comes with compartments for your jewellery and a modern finish. 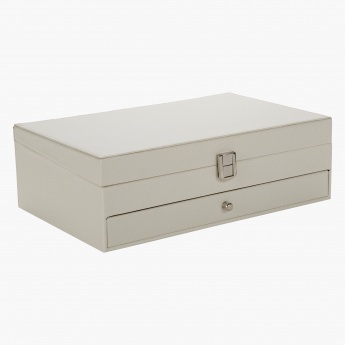 It is crafted out of cardboard and has a faux leather layer.